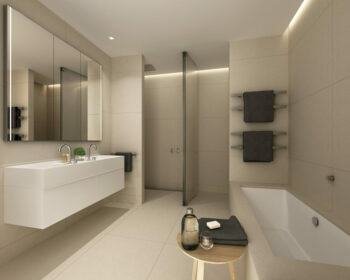 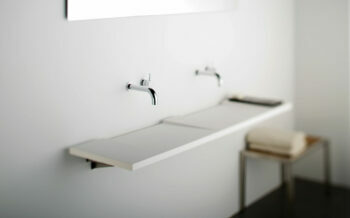 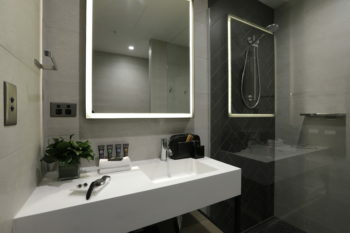 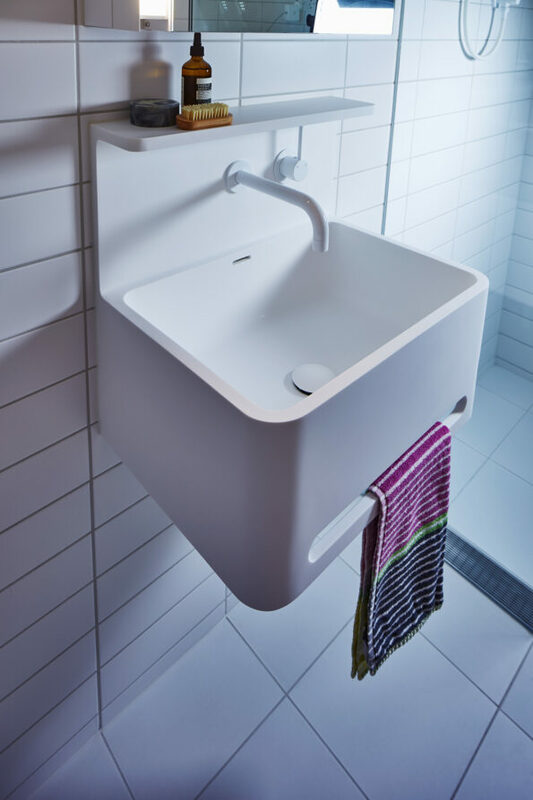 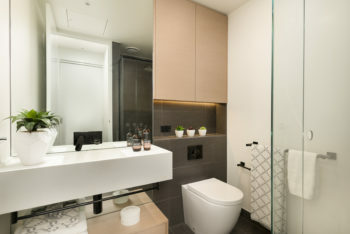 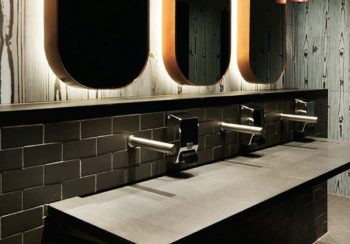 Omvivo created custom Vision basins in solid surface white exclusively for the impressive Vision Apartments in Melbourne’s CBD which consists of 524 apartments and 20 penthouses over 69 levels. 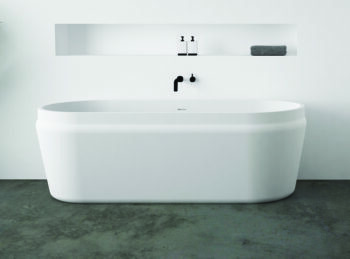 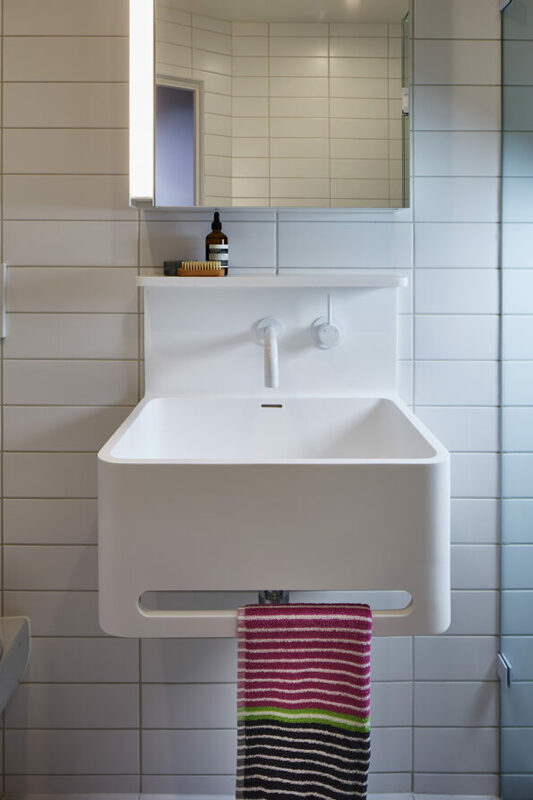 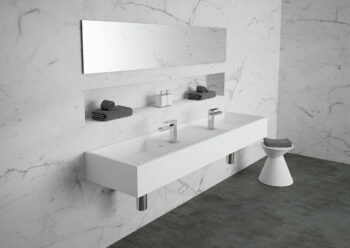 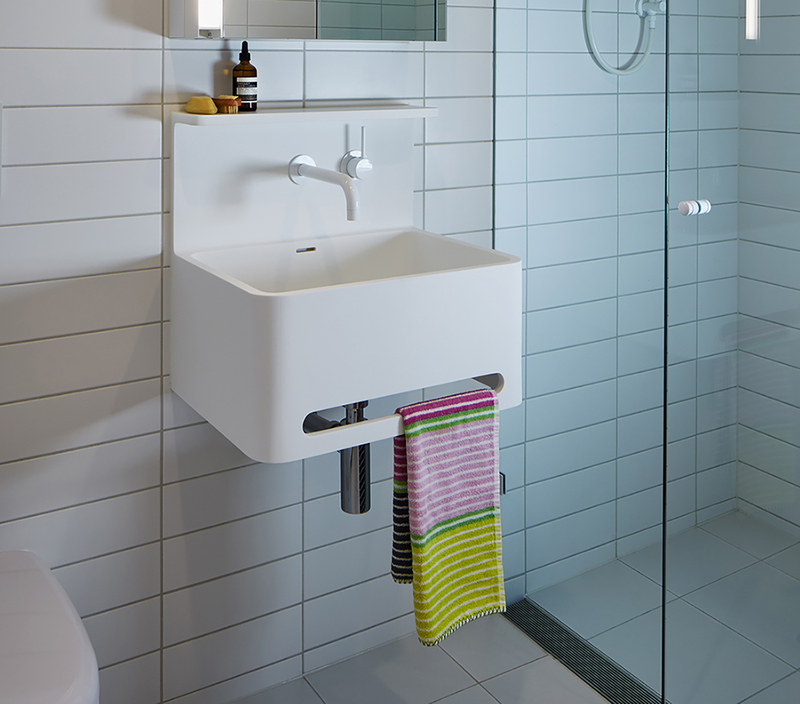 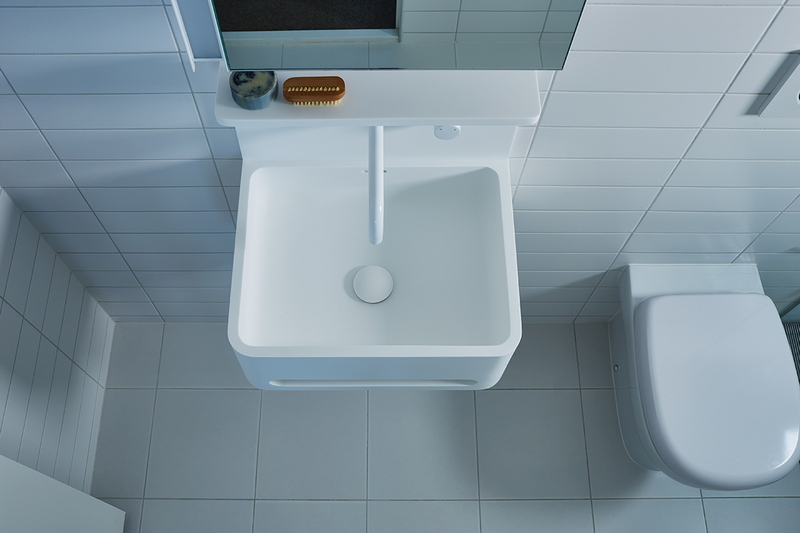 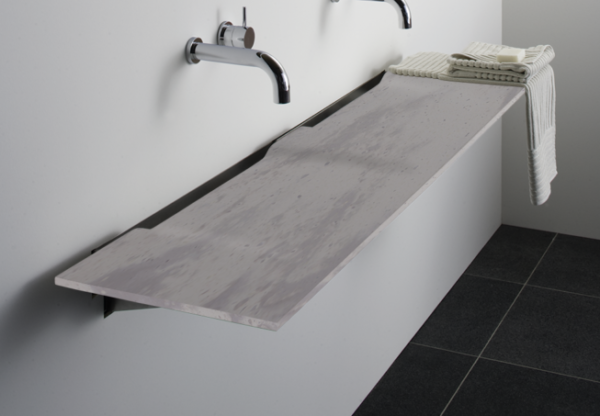 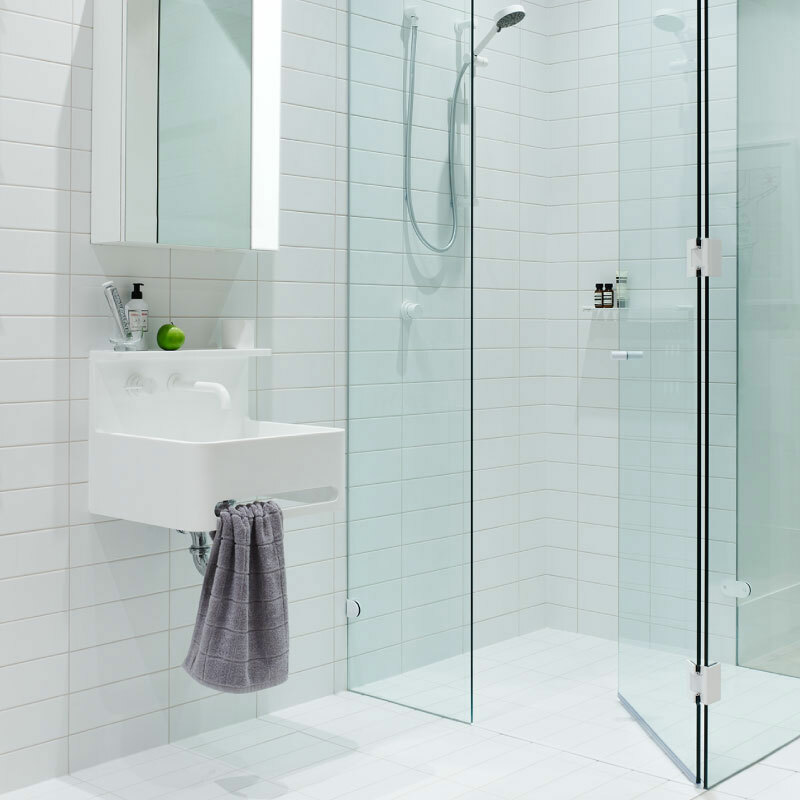 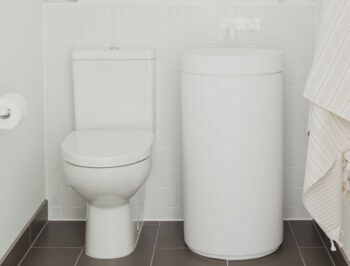 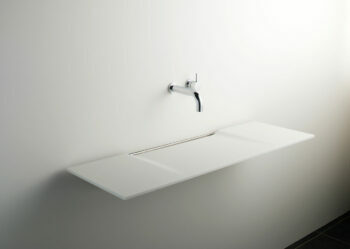 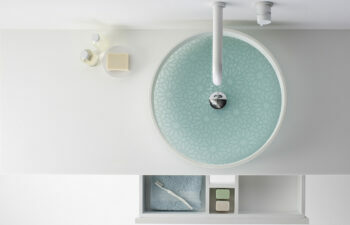 The custom Vision basins are a simply elegant yet functional basin with a shelf and a towel rack built into the basin for ultimate convenience. 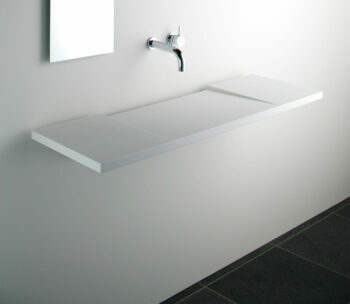 This basin offers understated luxury for these modern bathrooms and goes hand in hand with the equally luxurious development that is Vision.